Do you know that feeling when you first see an athlete and realize - he/she will be very good? There is just a sense about them, an aura one might say. They have a certain calm confidence, and instantly you feel "this athlete knows himself," this is one to watch. That was my first impression of Jasper Stuyven, a 21-year old rider for the Trek Factory Racing Team from Belgium. Last year Jasper rode with the successful Bontrager development team, but with his advancing age, he needed to find a new team. He was not just lucky to be signed with Trek, he deserved to be signed with Trek. It is interesting to watch a young rider making their way up the ranks. Jasper Stuyven recently came in 21st in the Tour of Qatar. The highest placing of any of his teammates (Fabian Cancellara was 111th). This year we will see Jasper in the Ronde van Vlaanderen (Tour of Flanders), Scheldeprijs, Paris-Roubaix, and Amgen Tour of California, among other races. 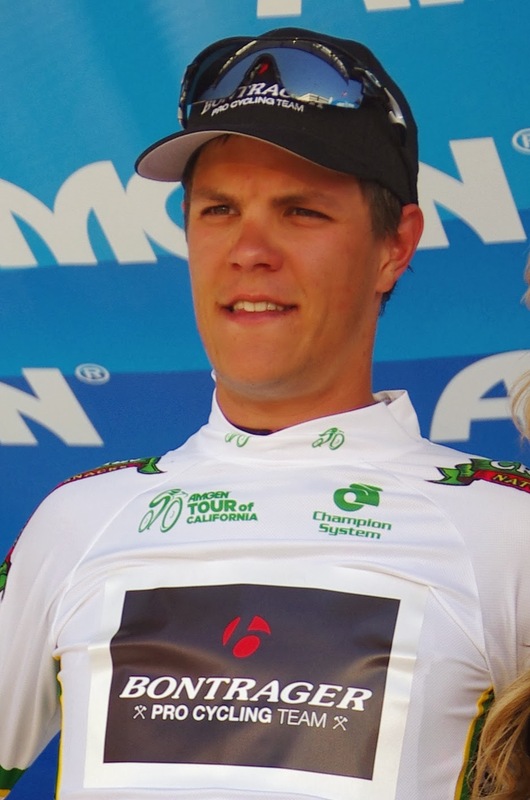 See Jasper Stuyven's Cycling Stats page. Manual for Speed wrote two pieces about Jasper worth reading: Jasper Stuyven : an introduction and Jasper Stuyven : in California. I like Jasper a lot. He is instantly a likeable kid, without shyness or ego, He spoke up directly to ask about my Belgian Nationals cap I was wearing last year at Amgen Tour of California. I like to wear the cap at bike races. I bought it at the end of the Arrenberg Forrest on the day of the Paris-Roubaix in 2012. To me it is just right - comfy and doesn't get in the way of my camera lens (as normal ball caps do). To Jasper and the other Belgian riders it is a symbol of home, a symbol of their youth and an instant connect. 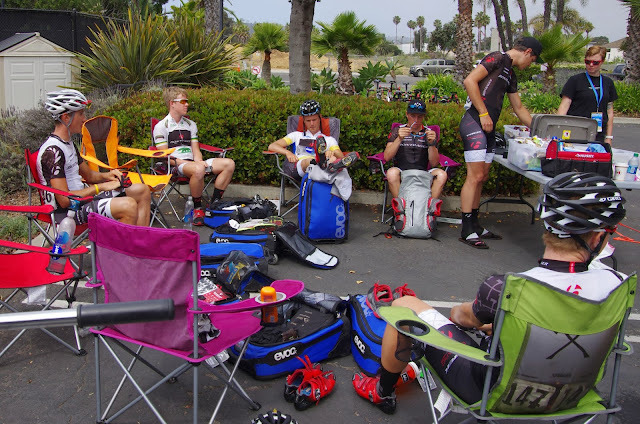 "I rode with that team," Jasper said to me with a smile as he sat in a chair on hot pavement waiting for the first stage of the 2013 Tour of California to begin. Every time I saw Jasper after that day - on the road, on podiums, waiting on hot tarmac - I would smile. That kid will be big, I thought. Bigger is more like it, since he was already quite accomplished at the age of twenty. Jasper is a good person, a good athlete and one who represents the sport well. Definitely be a fan of his, I am. 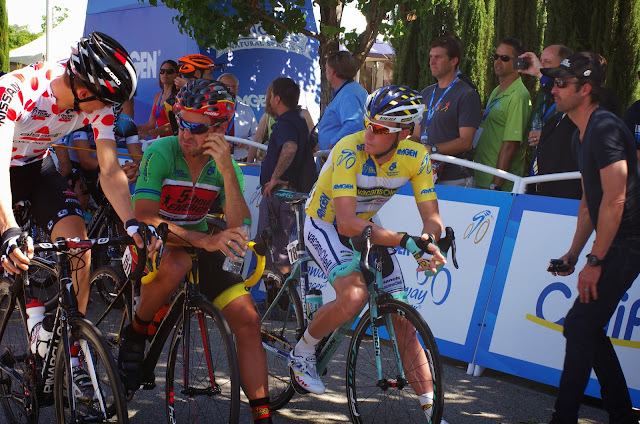 I remember I had the same feeling the first time I saw Marcel Kittel, Peter Sagan, and Chris Froome. I sort of lingered around those three as well, just watching, mesmerized. That old gut feeling I guess. I suppose a lot of people get a good first impression of Jasper, who is known as a One-day Classics sort of rider. I look forward to watching him in years to come. Jasper's new teammates at Trek Factory Racing include: Fabian Cancellara, Jens Voigt, Yaroslav Popovych, the Van Poppel brothers, the Schleck brothers, Matthew Busche, Haimar Zubeldia, Kristoff Vandewalle, Stijn Devolder, Gregory Rast, Hayden Roulston, and many more. *Trivia: Belgian Wikipedia shows a photo of old Bontrager teammate Joe Dombroski as Stuyven (wrong). Joe has since moved on to Team SKY. 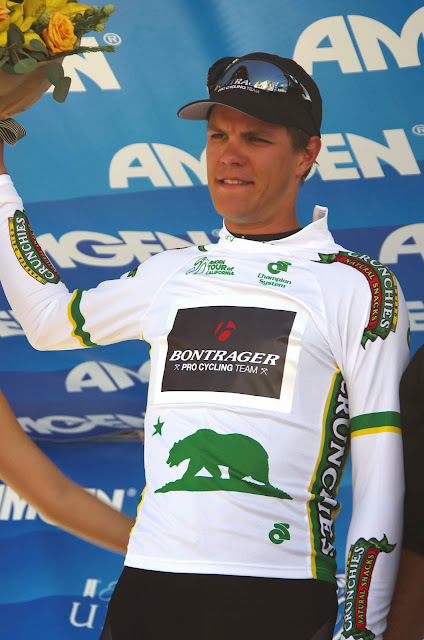 Another old teammate at Bontrager, Nathan Brown, was signed by team Garmin-Sharp for 2014.